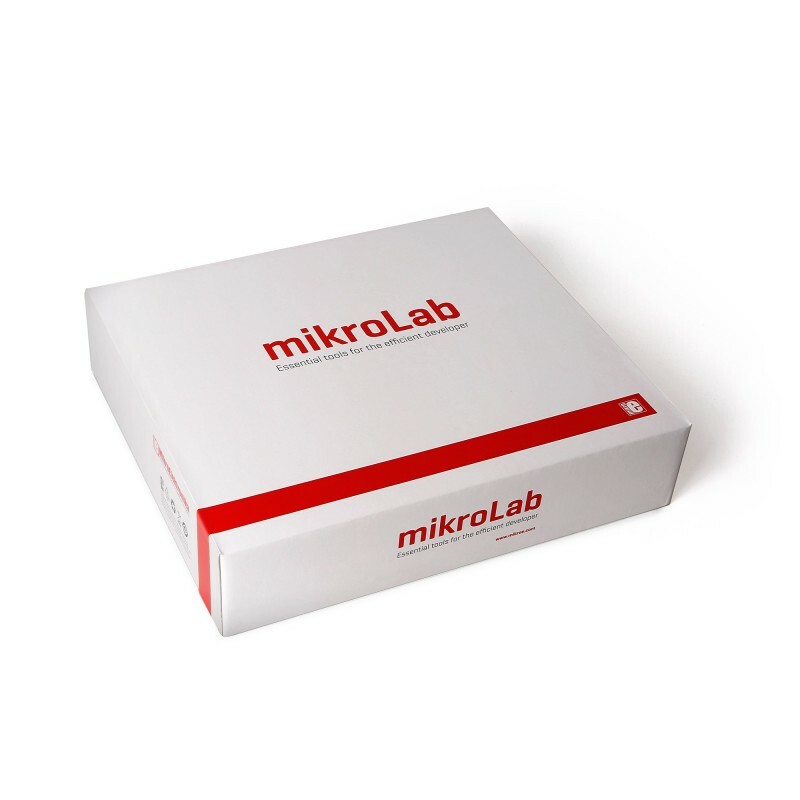 mikroLab for STM32 is a complete solution for developers who want to exploit what ST's STM32 MCUs have to offer. 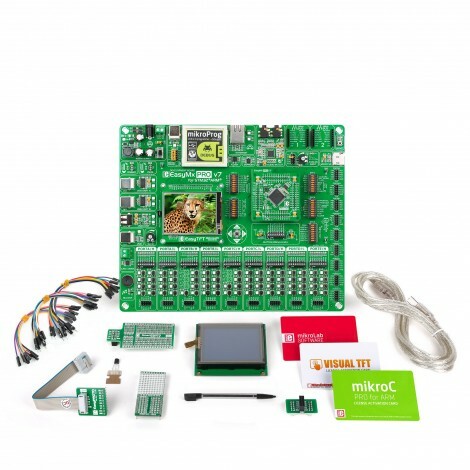 The kit contains an EasyMx PRO v7 for STM32 board, a mikroC for ARM compiler license, additional accessories, and a free license for Visual TFT (valued at $99). 32-bit ARM® Cortex®-based STM32 MCUs are powerful devices that combine high performance, real-time capabilities, digital signal processing, and low-power and low-voltage operation. All that power, however, comes at a price. The amount of documentation that accompanies these advanced MCUs can be daunting. Luckily, mikroLab for STM32 circumvents these concerns – mikroC for ARM is a compiler focused on the user, it provides more than 500 function libraries and many built-in utilities that increase usability and productivity, without sacrificing freedom and control.